Catalonia's deposed president Carles Puigdemont arrived in Scotland on Friday, in his first trip abroad after a Spanish court dropped a European arrest warrant for him. "He landed in Edinburgh from Brussels on Friday afternoon," Catalan's regional government, which had kept the visit secret, said in a statement. 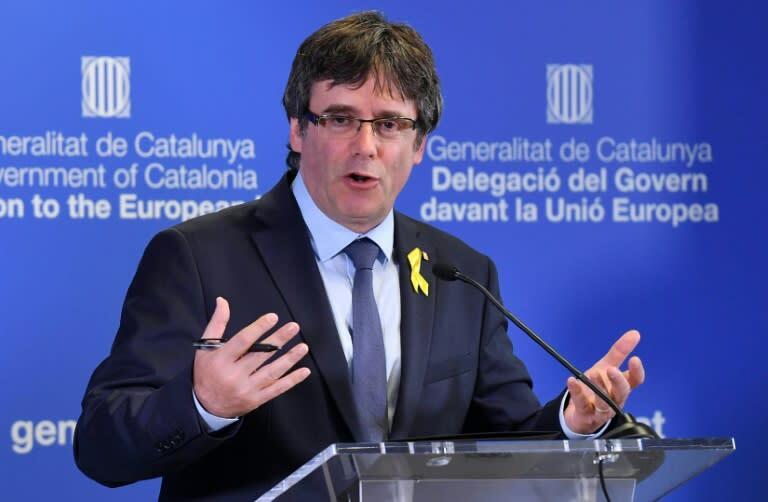 Puigdemont will take part in international diplomatic forum Beyond Borders on Sunday at the invitation of its organisers, the statement said. He was then arrested in Germany at the end of March and freed on bail 10 days later, waiting for a German court decision on an extradition request by Spain, where he is wanted over his role in the independence drive. Puigdemont returned to Belgium when Spain's Supreme Court dropped the arrest warrant in late July. He can now travel where he likes, except to Spain, where he is still wanted for rebellion, which carries up to 25 years in jail, and for misuse of public funds.